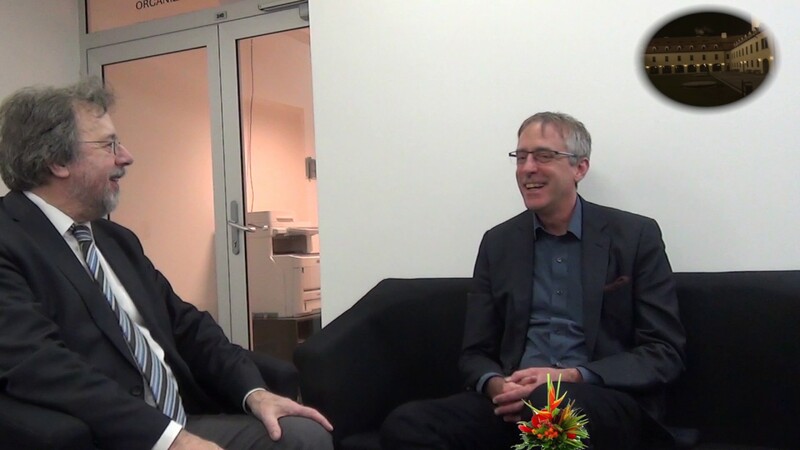 After the e-IRG Workshop in Bratislava, Slovak Republic, we took the opportunity to talk with Mark Parsons, Secretary General of the Research Data Alliance (RDA). Mark Parsons comes from a background of data management. For many years, he worked to manage data in the cryosphere area - cold things like snow and ice - but also, more generally, for arctic data management, given anything from satellite remote sensing to indigenous knowledge. Mark Parsons was heavily involved in setting up the data systems and data policies for a big international research project. That is how he got involved in the international collaboration around data. Mark Parsons is RDA's first Secretary General and he is in this function for about 2,5 years. The Research Data Alliance is a volunteer member organisation of data practitioners, computer scientists, librarians, and people interested in making data sharing work. RDA's mission is to build the social and technical bridges for delivering open science data. This is a very deliberate metaphor. What RDA is trying to do is to build infrastructure, and bridges are a form of infrastructure. RDA sees as central to creating data sharing infrastructure in the broadest sense possible a body of connections and relationships. RDA wants to foster those connections. RDA has working groups that exist for only 18 months. At the end of that period they have to put something in the package. They have to implement something, maybe a particular technical widget or standard, but it may also be more on the social side, like a summer school programme, for example. There is a working group that has been harmonizing two different repositories for education and science, for instance. Anything that helps overcome a barrier or advance data sharing is the focus of what RDA is doing. RDA is a global organisation with members from all around the world. RDA has about 4500 members and has grown very rapidly. The organisation only started about 3,5 years ago. In addition, RDA has about 50 organisational members who actually pay membership fees to bring that organisational voice into RDA, not just that of the individual researcher because ultimately, in the goal to create infrastructure, RDA recognizes the organisations to adopt what it produces, not just the individuals. As an invited guest to the e-IRG Workshop Mark Parsons said that he attended the e-IRG activities to try and understand the connection between e-IRG and RDA but also the research infrastructures as well. Mark Parsons sees data as a boundary object and area, and not as a barrier but as an interface for people to collaborate. Researchers are often working around shared data. This is a common interest across the ESFRI projects, e-IRG and RDA. Mark Parsons has been talking with former and current e-IRG Chairs Sverker Holmgren and Gabriele von Voigt about how RDA more exclusively can collaborate. e-IRG is working at the policy level. During the workshop, Mark Parsons heard that the e-IRG Roadmap is really good but it is at a high level. It doesn't really address the implementation details and the next steps to take whereas RDA is much more of a bottom-up, grassroots organisation and really focused on that implementation. RDA wants to establish a relationship where there is a better connection and interface feedback loop between the policy level actions and the actual work on the ground. Many more research agencies are now requiring data as part of the research proposals. Mark Parsons is getting a lot of feedback from policymakers and agencies about the process of how to evaluate the data management plan. There are templates out to help guide researchers in the creation but it is important to recognize that it is an ongoing planning process. It is not a write-it-once process, together with the proposal. It needs to be an ongoing activity. RDA has a group looking at what is called active data management to really keep the process ongoing. e-IRG might be making some recommendations on the fact that agencies should be requiring data management plans and about certain aspects they should be requiring about data management plans. One might end up by referring to RDA to get into the details on how you want to do this. This is just one example but there are a lot of other examples. Another area of common interest that has been discussed is preservation of data. Everyone agrees that we need to preserve data but which data? How do you make that assessment? What are the technology mechanisms that you need? What are the social structures and the sustainability mechanisms? e-IRG and RDA are going to have an ongoing conversation and probably a little workshop between e-IRG, ESFRI and RDA. Mark Parsons thinks it is a really exciting time. Data has really become of age. It is being considered at all levels of government. It is being recognized as a key component in terms of fostering innovative research. It is also being recognized that there are some really critical challenges in data management. e-IRG is recognizing this and will be collaborating with RDA. It is a good time to try and address the challenges.